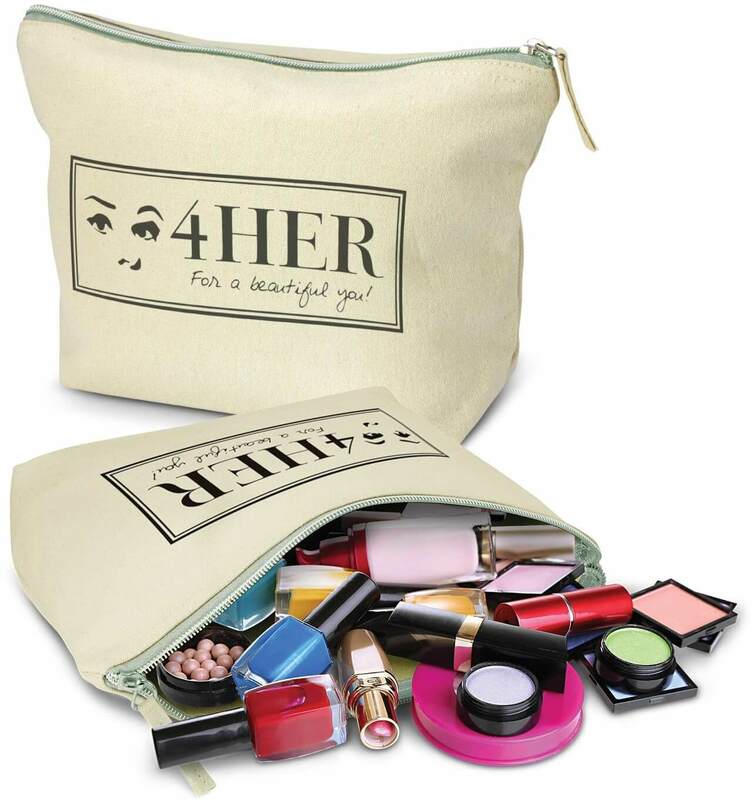 There are 3 cosmetic bags in this range and this is the largest size so you can fit lots in and have the biggest branding area. 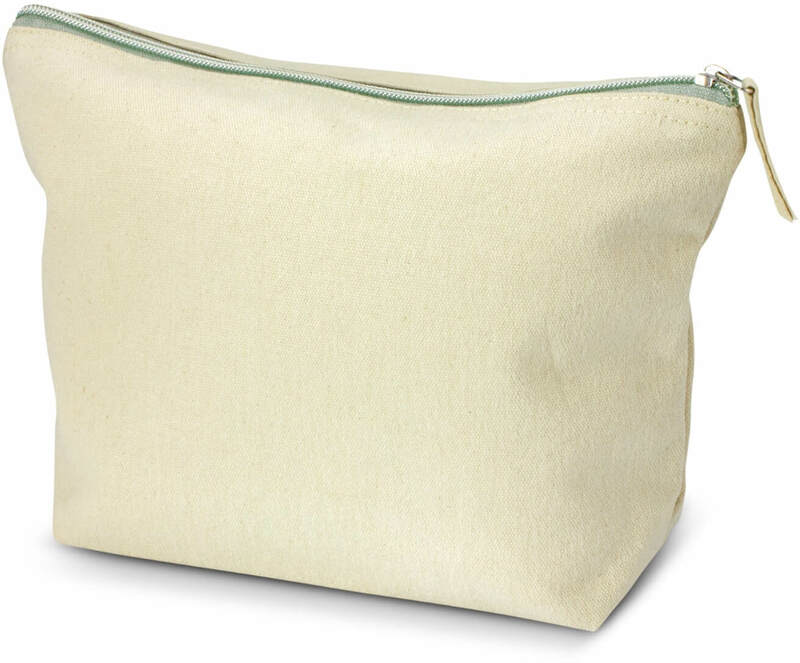 It has a zipper closure and is made from tough 400 gsm unbleached natural cotton canvas. This is perfect if you are looking for an eco friendly beauty product. Great for travel industries. Perfect for cruises. W 280mm x H 186mm x 80mm. Screen Print – 250 mm x 125 mm. Digital transfer – 250 mm x 125 mm.